You head off to do that run, you jump out your car and keep your keys in your pocket, but the whole run you have this thud-thud of the keys against your side. 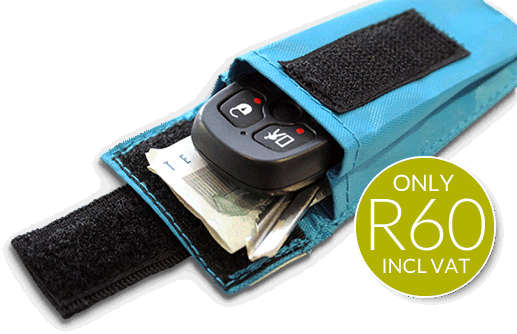 With the KEEPA you can just pop your keys or remote onto your shoe and forget about it until you need them again. The KEEPA can also be used for a variety of other sports such as hiking or fishing. The versatile Velcro strap means it can be worn on the belt or even added to your iPod armband. And we are certain that many other uses for KEEPA will be discovered. And we can't wait to hear what you come up with! Like the Keepa? Please tell your friends!